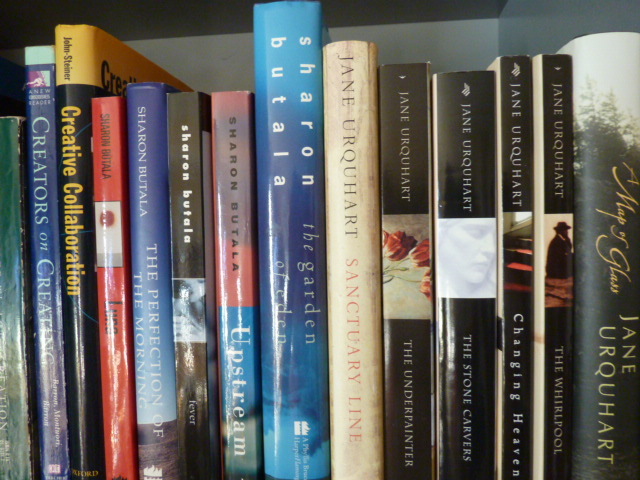 The first book of Jane Urquhart’s that I picked up and read was the Underpainter and from there, I was hooked. Similar to the reason I enjoy Mary Gordon’s writing, I like the variety of voices that the writer creates. I have come to know the protagonists intimately, and this is, in part, because Urquhart doesn’t make ‘meaning’ for the reader, that is left to us. Her books are very moody, complex and aesthetic, providing the reader with lots to think about emotionally. I’m guessing that she particularly appeals to female readers for her thorough character development and sensitive approach to writing ‘life’.